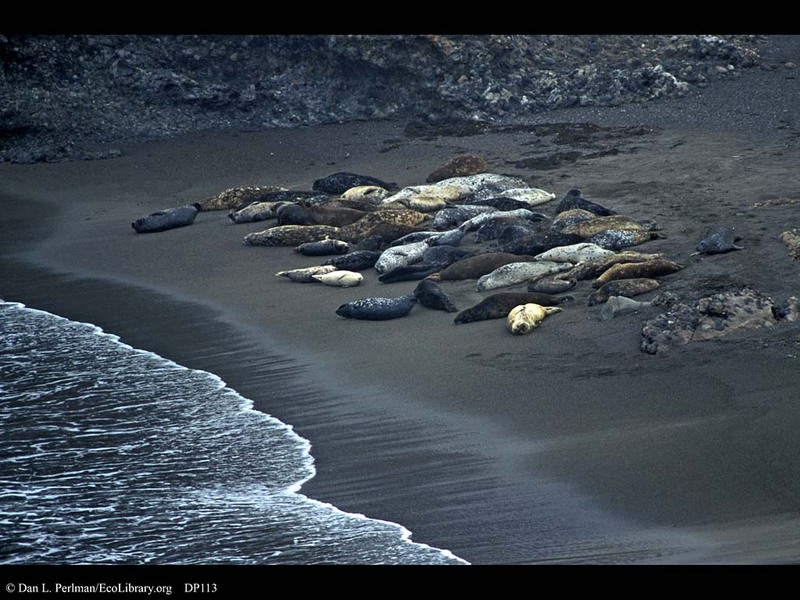 Color variation in harbor seals, California. These harbor seals exhibit a great deal of color variation. This variation may or may not be under genetic control. If it is genetically based, it may play a role as raw material for natural selection.